Dr. Neeshat Khan of Neeshat Khan, DDS, is a Board Certified oral surgeon who specializes in all aspects of oral surgery and dental care. The doctor and her staff offer their services to patients who live in the San Jose, California area. How Does PRP Help With Oral Surgery? PRP, or platelet rich plasma, contains growth factors and up to 3x the normal volume of red blood cells. This maximizes healing by allowing additional nutrients to flood the treatment area. The growth factors stimulate the tissues, giving them what they need to support the regeneration process. It is extremely beneficial when used during oral surgery. While the tissues of the mouth can heal incredibly fast, they are also at the highest risk for potential infection. Using PRP therapy speeds up the healing process reducing the amount of time the tissues are vulnerable to infection. Is Surgery Always Needed for Wisdom Tooth Extraction? Wisdom teeth can come in naturally and be pulled just like a regular tooth if there is enough room to grasp the tooth and extract it. 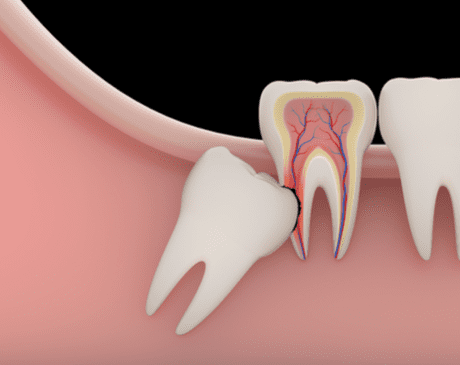 If the wisdom tooth comes in sideways or is impacted against the tooth next to it, surgery will be needed to create the room to completely extract the tooth. If the tooth becomes so tightly wedged against the jaw bone or the tooth next to it, an incision may need to be made and the tooth broken into smaller pieces so it can be easily removed. Once the tooth has been completely removed, a suture is put in place to draw the hole or open socket closed. If one wisdom tooth is impacted, it is likely that the other three will also exhibit partial signs of impaction. Bone grafting is a procedure that is used to restore the jaw bone to its normal size and shape. Cancer and damage may result in deterioration of the bone itself. If this occurs, parts of the bone may need to be replaced if the integrity of the jaw line and dental structure is to be kept intact. The dentist will remove a small piece of bone from another part of the body and use it as a graft to replace what was lost. A bone grafting procedure strengthens the bone and improves the integrity of the jaw making it less vulnerable to fractures or breaks. A bone graft procedure takes approximately six to eight weeks to heal, just as a broken bone in another area of the body would remodel or heal.